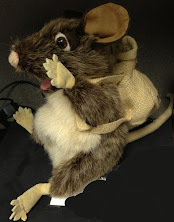 Kentucky Packrat: Thanks for your prayers -- and a call for donations. Thanks for your prayers -- and a call for donations. Our church still has to raise $800 (out of $1000) to fund our gas bill, or the kids will have to pay for the gas themselves (they're already paying $250 each for food and lodging). The Church is accepting Shell gas cards or cash to pay for the gift cards. If you'd like to donate, let me know by Email, and I'll let you know how you can donate on-line so that the money goes straight to the Church and to the Gas fund.